I have been doing short sections of the Offas Dyke Path in the North Wales area and was hoping over a priod of time to do the whole path. Today I walked from Chirk to Pontcysyllte Aqueduct and as I expected, I could not walk across it. I just know I would of froze half way across. Mad really when old ladies and their dogs were strolling across. Guess I will have to take one of the detours for that small section but disapointing all the same. Glad to know there is an alternative route - otherwise I will be swimming across in September! This really is a shame, we never even thought about it when we crossed and stopped halway to take photos of the river below. You clearly know that the fear is irrational and must be so frustrating. Could you not position yourself close by and in the middle, slightly behind two others so that the exposure is lessened, and concentrate just on the ground a yard or so ahead. I do understand, my wife has balance problems. We were doing a walk alongside a 'Lavada' (narrow water channel) in Madeira several years ago when we came to a section that was like walking along the top of a two foot wide wall. I never thought anything of it and walked the 30 or 40 yards section. As I reached the other side I just heard a big splash and turned round to see my wife sitting facing the other way in the water. She had overbalanced and spun, falling in. Mind , it was good job she fell that side into the water and not down the sheer drop on the other side. Big reminder for me that not everyone is comfortable in such circumstances. We don't mention the word 'Lavada' since. Calluna, I think there is a road bridge nearby that crosses the river but I think you may be best to check out how busy/ useable this is. I think that could work Dave, problem would be that I may be on my own. I think I could get so far but I'm afaid I would freeze halfway and panic. There looks to be a bridge nearby so I will admire from below! Thats a great shame, its a miracle of engineering that old viaduct. Maybe you could catch a lift across off of one of the many boats going across ? Most boaters are very friendly and Im sure they'd help you out, just sit on right side of the boat though as the drop on the off side is much worse as there are no railings. (the above assumes spring/summer of course, not many boats moving just now). I will also be on my own Dave, but to be honest the only way you will get me across it with help; is if I was blindfolded and led across! I can admire it from below, and yes it is a marvellous bit of engineering. Your poor wife! she was probably frightened of the steep side and overcompensated her balance to the water side. You are right. Ive taken her on some routes involving close drop offs, exposure and even some easy scrambling, until one day when she mentioned that she had been scared to death on a section near Taylor Gill Force in the Lakes, on the way to Seathwaite from Great Gable. Although I was 'fielding' her across this section, I realised that if she had slipped, there would be no way that I could have held on to her. That was the last time, a wake up call and wouldn't even dream of leading her on anything the like, since. Ive been re looking at the routes guidebooks and I note that the way over the aquaduct is an 'alternative' route, not the official one, which does indeed drop down to pass over the road bridge. 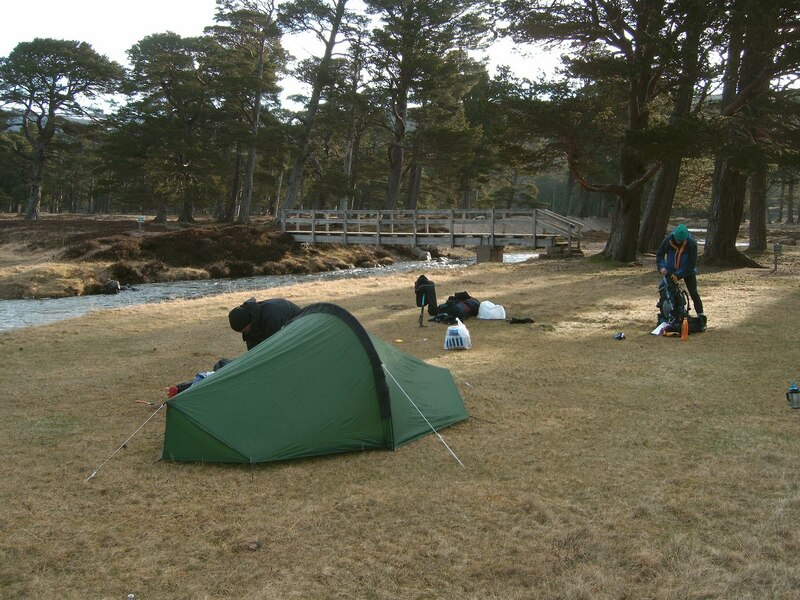 Ive been looking at it with a view to wild camping and a fast schedule. It seems that to camp on sites a lot of off route walking has to be done and wild camping on route is goingh to be more of a problem. That's really interesting Slogger as I was disapointed to think I could not follow the true route. I'm thinking of doing The Offas Dyke Path in one go and have had my mind put at rest regarding crossing the Aqueduct. Can anyone tell me if there are any other big drops cliffs to be negotiated on the walk? I'm fine on high grassy hills /mountains, it's just when there is a sharp drop to walk alongside I have problems? The Pont-Cysyllte Aqueduct which I know I would not be able to get my wife to walk across. There is just enough room for two people to pass but they would have to be careful not to fall into the canal, on the other side there are railings but if you aren't good on heights then there is a path that will miss this bit out by walking down and over the canal. I am sure that this is well signed. The only other thing that I can think may cause an issue, although there isn't a cliff edge, is walking across the scree below Eglwyseg Craggs which are after the Panorama Walk that overlooks Llangollen and the River Dee. The scree is quite steep but the path is reasonably flat, if you managed to fall over then you would slide a fair way but with just a little care there should be no problem. This bit can however be missed out by, I think, road walking to pick up the path again at World’s End. There is a walk with Prestatyn more than 700 feet below at times at the end (or the beginning) but it is well fenced and I don't think that this would cause a problem. Like Harland I can't think of any big issues regarding big drops, other than the aqueduct. Cliff top path at Prestatyn , but very overgrown on it's sides from what I can remember and well fenced. That's about it, enjoy. Many thanks to you both. We had talked about the aqueduct in the past and as I have tried to cross it before so I will go the alternative route. Pretty sure I will go for the walk now you have both put my mind at rest. 3 years sice I did The C to C so well keen! Any ideas on the best guide book? I used the two National Trail Guides that were available from my local library as I was going South to North. But if you going North to South the the Trailblazer guide may be better. few highish views of the Wye valley and related quarries on the first day but they are well fenced; just don't look. I agree with Harland that the Crags are the only other issue apart from the Aqueduct. They are not towering drops however it is just that they are open scree so you can see the slope clearly. Don't be put off; I did it the first ten days in June and it is a great walk. Thanks for the advice here on my planning, just a few other questions. Can anyone recommend any accomodation at Llandegla and Bodfari? The Sherpa site seems limited with options. Also ths site shows Clwyd Gate to Prestatyn as 20 miles. How tough a day would you people that have done it think that would be in a day ( I note there is a lot of up and down). I wonder if it would actually be more like 25 miles and pretty tough? She has 2 Eco pods in the back garden beside a stream. The pods are a bit basic, 2 single beds, electric radiator, a small bedside lamp. The toilet, shower, are in the house which you can access at any time with a code. Nice pub back up the road (The Crown) if you are walking S>N and turn right at the junction. Very accommodating, left all the breakfast stuff out in the morning so I could have a really early start. I stayed in their static caravan, wonderful 2 bedrooms, lounge, kitchen, TV, electric radiator, shower etc. She gave me a pot of tea, massive piece of cake (must have been home made as you couldn't buy one that thick from a shop) which I had watching the alpacas in the next field. As the pub in Bodfari was a way back along the path she offered me an all day breakfast for my evening meal together with strawberries, raspberries and ice cream! Also provided me with lots of cereals etc for breakfast as once again I was leaving early. Both of the above are recommended. Llandegla to Prestayn, which I did over 2 days so that I could finish at lunchtime on my last day so that I could get home, took me about 13.5 hours. I guess that there was c. 6,500 feet of ascent. However I don't recall that there was much that was very steep as there had been earlier on the path. Anything else please let me know. In June I stayed at Gweryd Lakes; a fishing and outdoor centre with accommodation. It is around 3 miles north of Llandegla. I found accommodation and facilities in Llandegla to be very sparse. Although it is 19 miles from Castle Mill; it is a pleasant and varied walk and so does not seem so far. Also it knocks an hour off the next day over the Clwydian range; which; although not high can be tedious on a hot day. I stayed at Valeside in Bodfari itself. The hosts are very pleasant and the room very comfortable. It is around 11 miles from Clwyd Gate to Bodfari and about 12 thence to Prestatyn. Generated in 0.051 seconds in which 0.009 seconds were spent on a total of 14 queries. Zlib compression enabled.